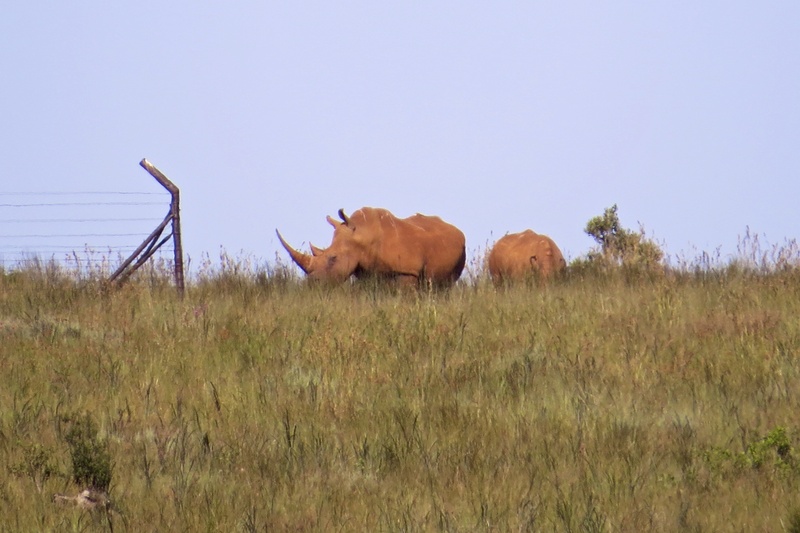 At the end of the meeting on Wednesday a couple of us hired a ranger from the Neia Safari Lodge and we visited the nearby Lion and Rhino Reserve. 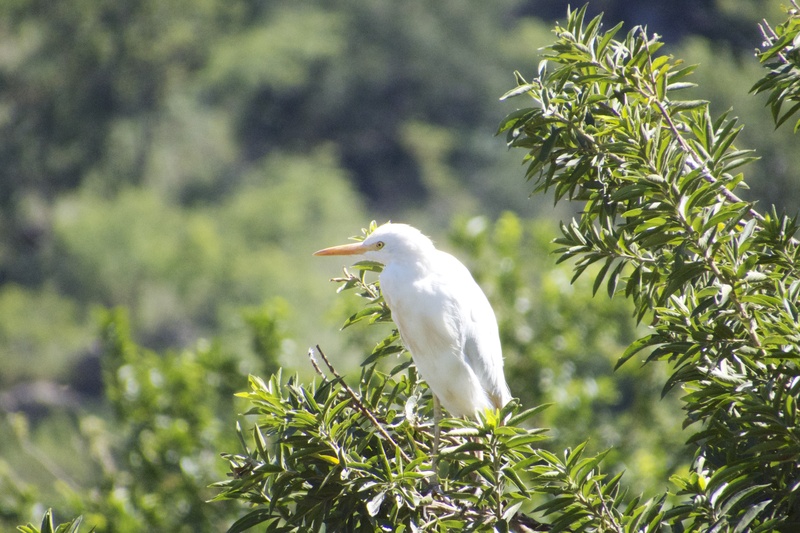 Although the wildlife have large areas in which to roam, they are not bothered by the 4×4 allowing the opportunities for some decent photos. 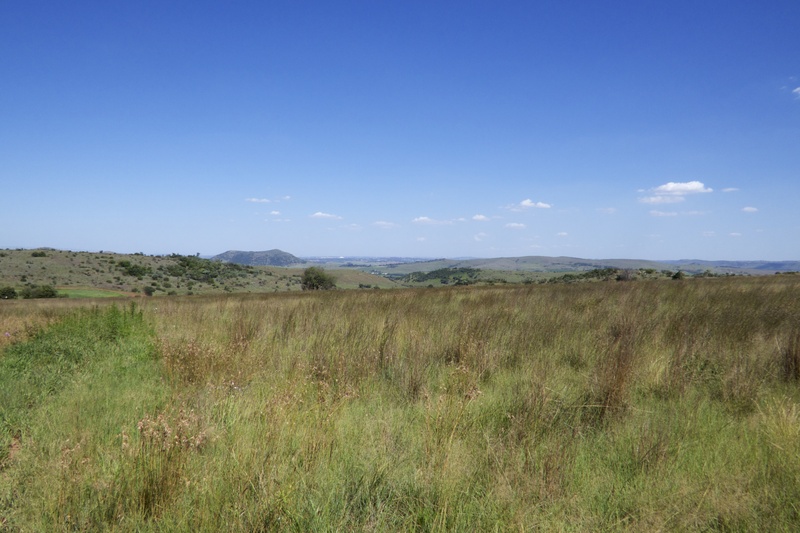 It is just possible to see Johannesburg in the distance on the horizon in the photo below. The white ring is a ‘follow me sign’ which helps individuals and young in the herd to follow others to safety when being chased by a predator. 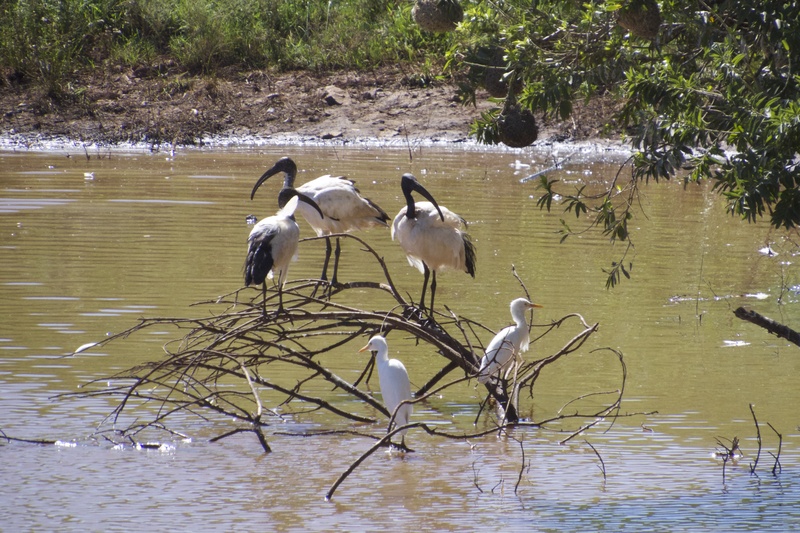 The pond itself was crowded with sacred ibis and cattle egrets. Further along the trail and in a separate but smaller enclosure we had some fantastically close views of two prides of lions. 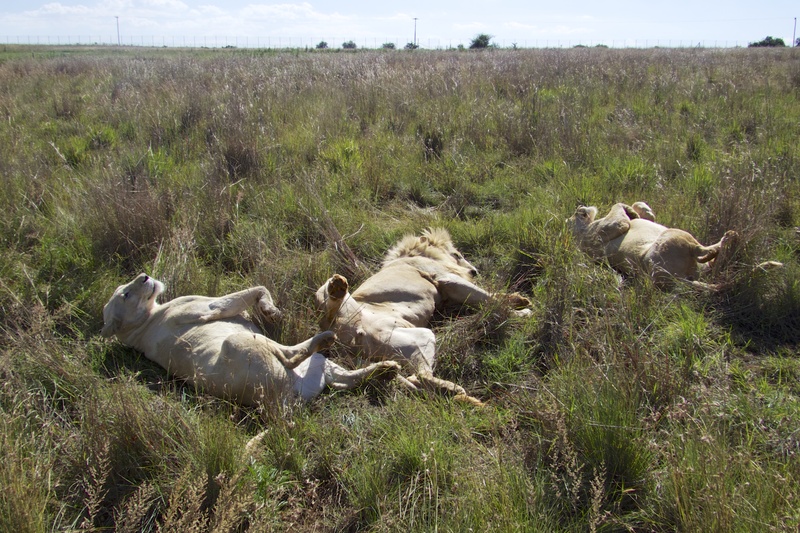 The first group of ‘red lions’ had just finished feeding on the carcasses that had been left for them in the feeding area, and were resting in the shade. 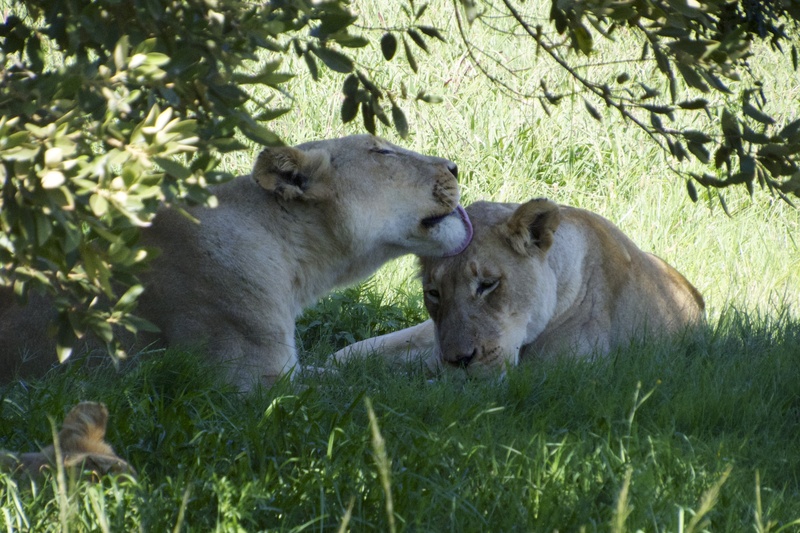 Then in another enclosure the ‘white’ lions were even closer and certainly not bothered by the jeep. In fact looking at them they weren’t bothered by anything, and were enjoying the sun. So we had seen the lions, and as this was called the Lion and Safari Reserve, where were the rhinos. To be fair to JP our ranger, he was determined to find them. Not an easy task in such a large area where they could be hiding anywhere. 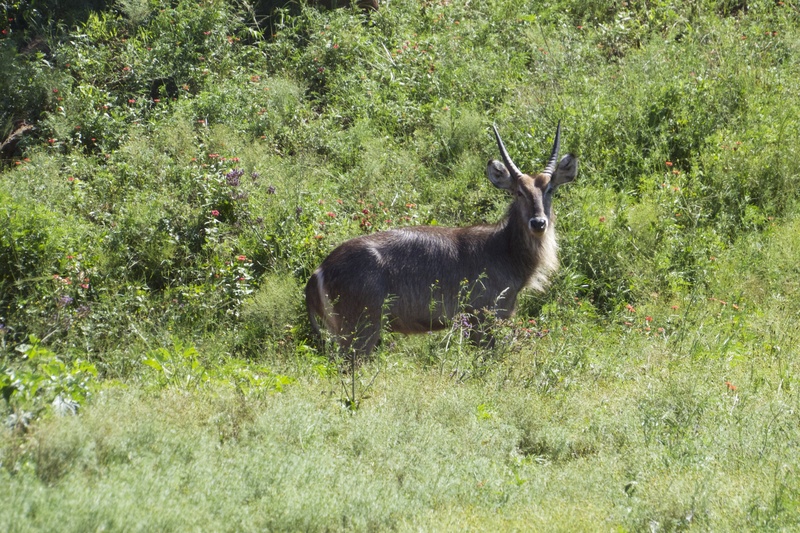 then as we had stopped to have a look at a herb of sable in distance, he found a pair of white rhino in the far distance on the crest of a hill. 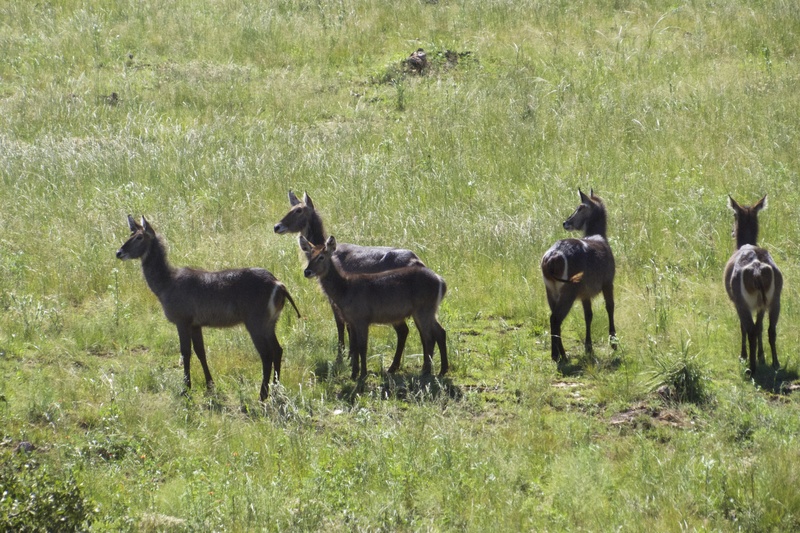 Luckily, the camera was up to the task, and we could see a mother and calf. 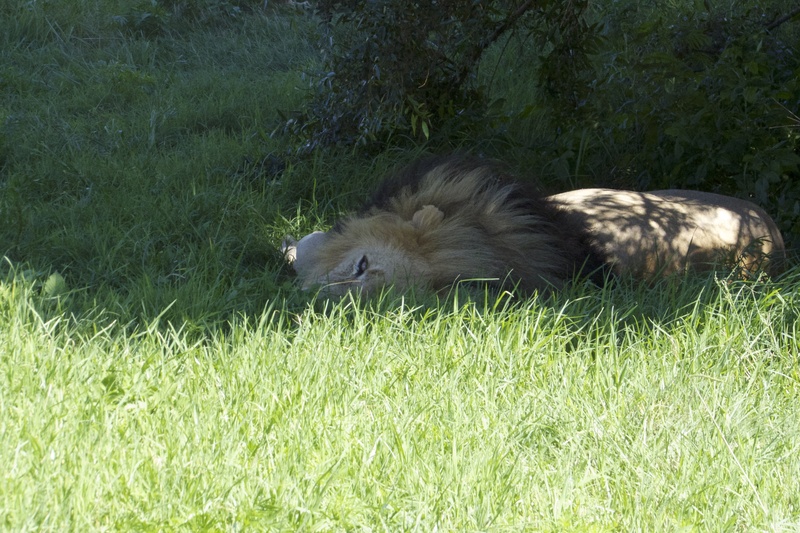 The laziness of the lions and their desire for sunbathing seemed to be catching. 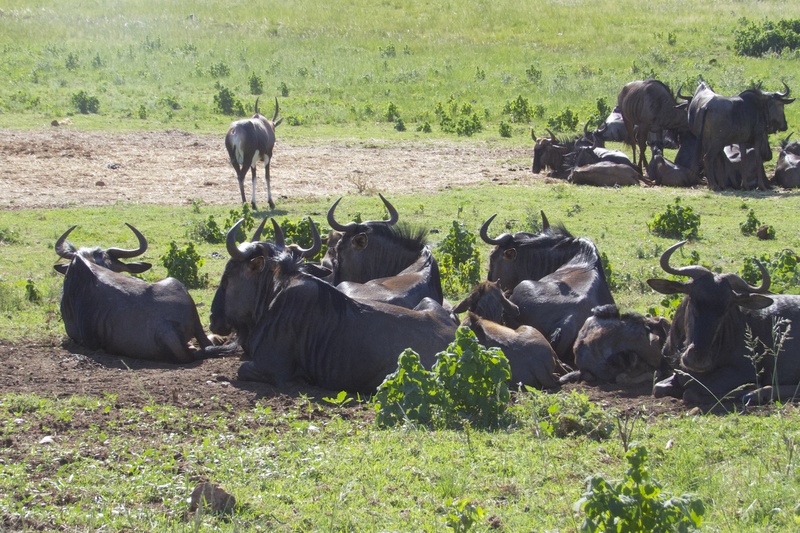 Even the wildebeest were laid back in as they made the most of some down time. In another enclosure were the wild dogs. Now a couple of years ago, when Karen and me spent a fantastic 5 days on safari near the Kruger National Park we went out looking for wild dogs everyday ion the hope of seeing them. But with no lick. They were always somewhere else! This time JP promise we would see them, and in such a relatively small area this looked likely. But even today they were determined to hide in the long grass and all I could see was the back of the head of one of the pack of 6. And even then it was determined not to look our way. 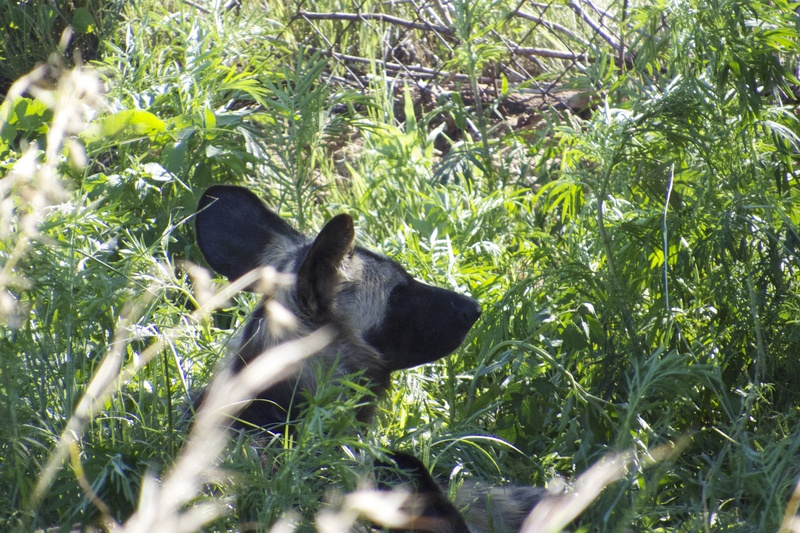 Wild dog – if I don’t look at you maybe you’re no there! The afternoon was over, and we had to go back to Johannesburg. 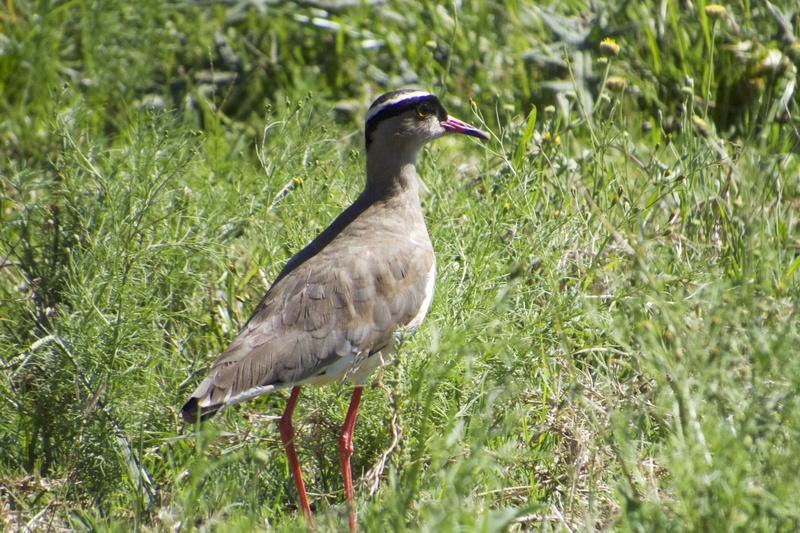 But before we left we were treated to a good view of a couple of crowned lapwing feeding in the grass.